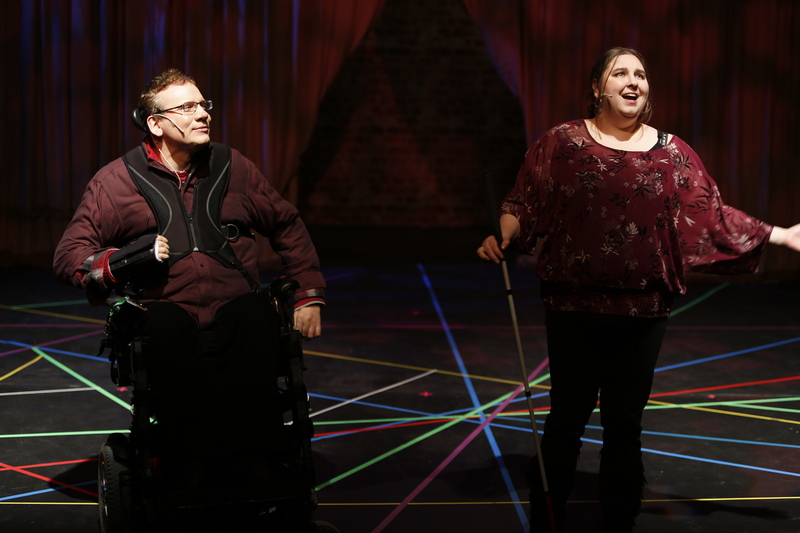 Realwheels unites professional artists with the community of people with disabilities for a series of workshops, culminating in a live performance. We explore stories through theatre, music, visual arts and dance, and often have inspiring guests who help us develop our craft. 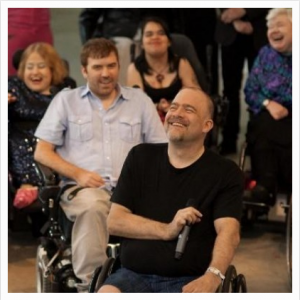 Through Wheel Voices, we nurture and develop emerging talent in the disability community. Throughout the workshop and rehearsal process, participants develop skills in the performing arts, as well as personal communication skills, and enjoy invaluable social interactions. We welcome everyone who wishes to be part of the process. No experience necessary and workshops are fully subsidized. Realwheels proudly incorporates mentorships for people with disabilities in all of their programming. We’re also broadening the scope of who can participate to a wider group of people with disabilities around the world through digital media by means of a #WheelVoices hashtag campaign. With #WheelVoices, people who self-idenitify with disability from anywhere in the world can engage with Realwheels through digital media. We invite you to share your stories and art through words, images, sounds, and video. If you’re interested in participating through digital means, click here to join the WheelVoices Facebook group! We look forward to you joining us – on stage – in the digital sphere – on screen – in the audience!